I have herd this passage over analyzed and what this means and that. And I want to fit this passage into my life right now and even maybe yours. You know if I never took a leap of faith to get into ministry and leave politics behind and pursue the Army Chaplaincy I don’t know how things might have turned out. If I didn’t crawl out from under my rock what might happen. I would have missed out on the very best God had in store for me. It’s still a leap of faith…. how will I finish seminary? How will my marriage to my future Robin work out? I don’t want to re-live being broke, and divorced like my parents were, how do I believe God has the best for me? Does God want me to work on a church or do missions and evangelism down the road? I don’t know. But it got me thinking why aren’t we getting out of the boat? Is it fear of change? Fear of the unknown and how that could affect our circumstances? I think many mundane Christians are missing out on the best God has in store for them. 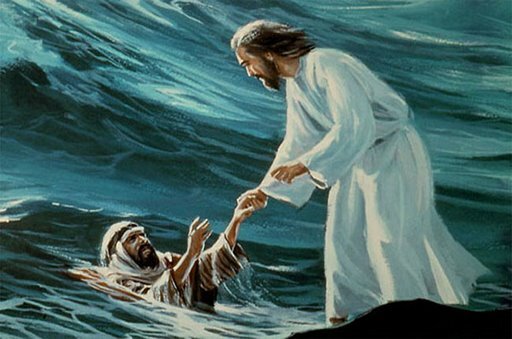 It’s interesting how Peter used his faith at first- then it wavered when adversity hit and the waves began to roar. Are we going to run from what God called us to do, when we meet a little resistance or have faith that we are doing the plan God called us to do? I think the real story is sticking it out toward the end no matter what the results are. Why do we doubt God has our best interest in us? Why don’t we think that he plans to harm us but not help us? This passage can be interpreted in many ways to mean different things. Peter had to use his faith- to get out of the boat, walking on water, and believing Jesus was not a Ghost. Notice that God did all the heavy lifting. All Peter had to do was just believe and act on that belief. It’s so easy to give up. It’s so easy to have a pity party. It’s so easy to listen to the Devil’s lies and our own emotions. 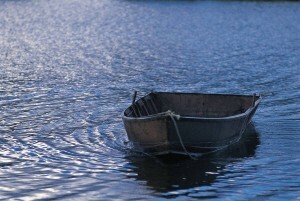 But we will never mature, never grow, never fulfill God’s calling in our lives unless we step out of the boat in faith.